After failing on getting Pcsx2 to run on my laptop, I switched to my desktop. Now it freezes after it lists the developers when I start a game from an iso file. Any ideas? thanx ahead of time. Katamari Damaci freezes right when the intro movie starts. Kingdom Hearts freezes at the main menu. Those are the only two I've tried so far. Kingdom Hearts: Should work perfectly,try unchecking Nloop hack in GSdx and setting speed hacks and advanced to default. (07-14-2009, 03:49 AM)Crow T. Robot Wrote: Katamari Damaci freezes right when the intro movie starts. Kingdom Hearts freezes at the main menu. Those are the only two I've tried so far. also for katamari damacy enable both microvus under "config->cpu" to avoid the grey garbage polygons filling up the gameplay screen. KH is working great now, and so are most every other game. 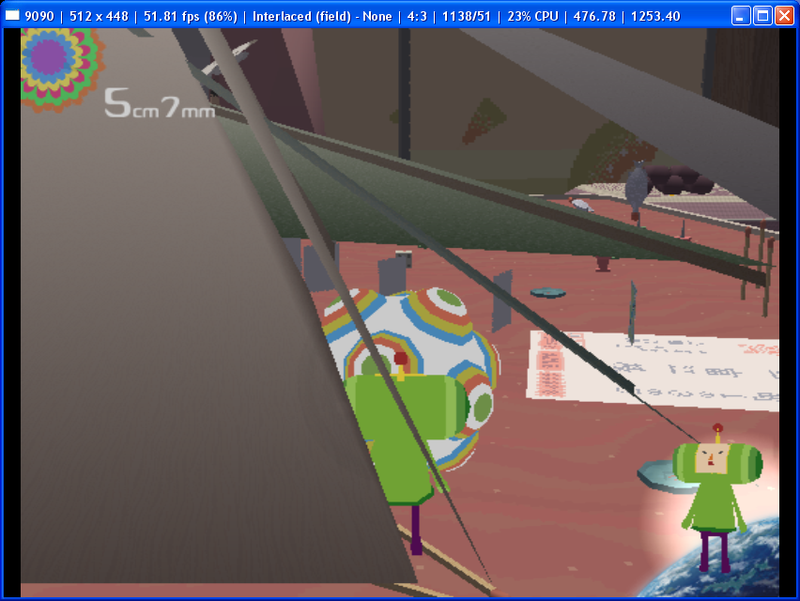 I disabled Nloop and also disabled the Multithreaded GS mode, and now everything, but katamari is running great. Thanx! ok. How do I go about doing that? ok. I got to the first fight with Donald and Goofy in KH and discovered my computer can't handle it without messing with frame skip, so I'll see what I can do there. Thanx for the help on that one. wow I feel like an idiot. Katamari runs at a great speed, but I'm getting huge graphics issues (see pic). Part of that too, is that when I pick up an object, the ball acts like the object is there, but it doesn't show up visually. Any ideas? (07-16-2009, 10:43 PM)Crow T. Robot Wrote: Katamari runs at a great speed, but I'm getting huge graphics issues (see pic). well, these graphical glitches should go away if both microvus are enabled, it works for me. could you post a screenshot of your "config->cpu"?